The world of art is infinite and incredibly expansive encompassing all of human imagination. And, at The King Art Studio, we know that art has many different forms of expression and is very personal and individualistic. This is why it cannot be restricted to just canvas or stone or any one single medium. To give artists the opportunity to explore all the possible mediums, we hold artist workshops from time to time. In these workshops, we cover all the forms of art that are not a part of the regular art lessons we provide. So you see, you could enjoy designing T-shirts or graphics using the Photoshop and illustrator. You could also find ceramics intriguing or you might like to dabble in capturing the human form. You might also simply enjoy putting the brush to the canvas with acrylics. Whatever may be your choice of expression, you will find that our workshop is the ideal stage for it. When you explore your talents in the company of other artists, you will feel your inhibitions further melting away as other artists talk about what inspires them and helps them to find new ideas. Make long-lasting friends with like-minded artists. Welcome their critiques of your work and the opinions of the areas where they think you can improve. In turn, you could offer your own pointers on their art. You will enjoy the ambience of camaraderie and good humor where art is the common thread that binds you all. In an attempt to help you develop your talent, we invite guest speakers that are experts in their respective fields to talk to you. They can provide you with insights into newer techniques and mediums that will inspire you anew. We understand that artists are intensely creative people that are more in touch with their art than with the real world. 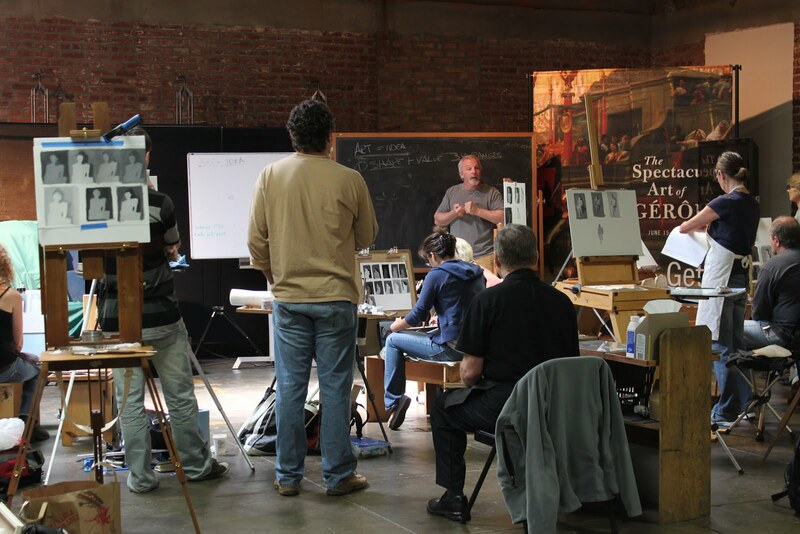 Our professional instructor will guide you on the business angle of your art. And, by doing this, we hope to provide you with the assistance and information you need, to be able to showcase your work to the whole art community. Accordingly, our instructor will direct you on how to create interesting portfolios and depict your creations in the best way possible. You will also learn how to submit your work to galleries and publishers and thus establish yourself as a serious artist. If you need more information, please feel free to contact us at The King Art Studio and we will be happy to tell you all about our artist workshops. You can also check our calendar on our site and choose the events, dates and times that work best for you. Even if you are a budding artist who has just begun taking art lessons at our Henderson studio, you can still attend the workshop and enjoy the exposure.